The Easyjet is a simplified hand-held torch with piezo ignition. Fixed standard flame burner. Delivered with Sievert Powergas. 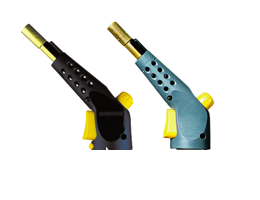 Developed for basic do-it-yourself applications like soft soldering, loosening of bolts, paint stripping, fire lighting and cooking.